On our website you can find many beautiful Russian women, but how can you know who is the right one for you? Most importantly, you should look for a Russian woman with whom you will be a perfect match. There is no ideal person so there is no need to look for the perfect Russian woman, and instead find the one who will be ideal for you. You may find the most beautiful woman, but it does not mean that you will be happy with her. A perfect match is a soul mate who desires a close relationship or to create a family. Finding a soul mate that is patient and ready for a relationship or a happy family, and is willing to overcome any obstacles. One who appreciates your hobbies and would like to develop the same interests. Soul mates will show their sincere feelings and understand each other from the first look. Matchmaking already starts online and you can get the most out of it. For example, by making your profile more attractive for visitors or for the one you like. It is important to attract their attention and to make a good first impression. You can put multiple photos in your profile, in order to give others the opportunity to see what you look like. In your profile, you can write down a detailed description of yourself and include your interests. It is now time to find out who is interested in you. You can easily search all potential brides on our website. If you like someone then you can send her an ‘interest.’ The next step is to send her a message with more information about your life. We are there to help with translation if her level of English is not strong enough for corresponding. Being sincere in your correspondence easily creates an image of your personality. You should be open and flexible in your conversation, and this can help lead to a serious and sincere relationship. Without any doubt, personal contact is very important for your future relationship. You should feel comfortable asking your Russian woman any questions. Our matchmaker is available to help you if you are concerned about something, by asking a question on your behalf and informing you about the results of the conversation. She can also provide you some useful tips to help avoid mistakes that can lead to misunderstanding the Russian women. Matchmaking played an important role in Russian culture and customs and it still works. There is a well-known Russian proverb saying, “Choose a matchmaker, not a bride." Matchmaking is a two way street. It is very important to find desirable Russian women for Western men, and to be sure that a man is compatible and desirable for her as well. In fact, it is the knowledge of people and relationships; and the languages, customs, and traditions in both cultures that help create an ideal match. When love is a two-way street, the matchmaking will lead to marriage one day. We provide the best traditional matchmaking. 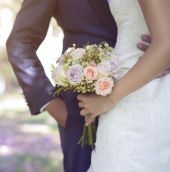 If you are interested in our matchmaking service, you can read detailed information on our services page. One face-to-face meeting is truly better than thousands of letters. Russian brides are not interested in hundreds of letters, so try to arrange a real meeting with your favorite Russian women. We can offer you the best quality service during your trip. Russian women do not like empty promises so it would be best not to make a promise if you are uncertain about meeting or something else. This tends to cause Russian women to be disappointed. Distance is just a test of how far love can travel. You fall in love with a Russian woman, but you can’t meet her immediately. In this situation, you should add her as a chat partner and use our video chat service. This way you can hear her voice to help become closer and to make the distance shorter.